Eat in style with the Roca Dining Table. This modern table's unique design is simple, yet sophisticated, and its minimalist industrial styling makes it perfect for any retro-modern or contemporary dining area. 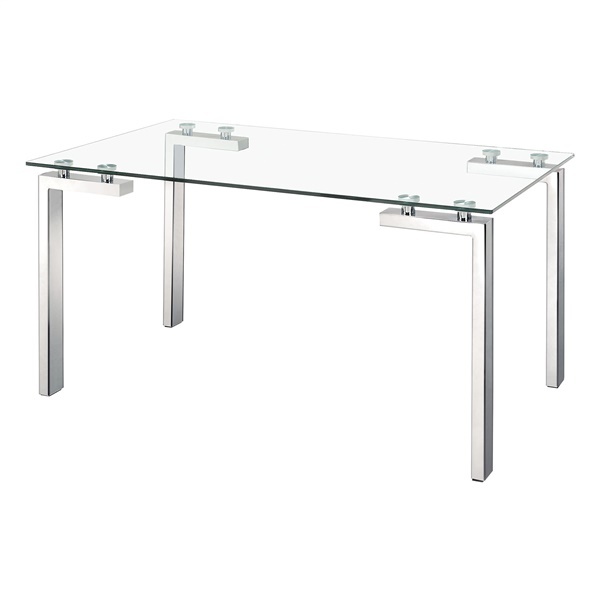 The Roca Dining Table features a clear tempered glass top complemented by chromed steel legs.